Next thing I find out that he actually did interview himself. Like, literally interviewed himself. Not what I actually meant, as in just type questions and provide answers, he literally recorded himself asking and answering his own questions. Oh Haydn. But put aside the sheer bizarreness of the whole concept, and you get a really surreal, effective interview. The whole asking and answering your own questions thing works. The recording quality isn't outstanding and as a result, there is a weird hiss that is surprisingly eerie, but again, it works! 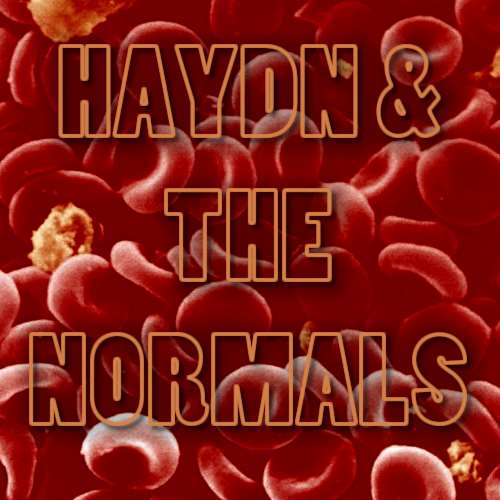 Seriously, give the interview below a listen and learn about Haydn's great new project Haydn & The Normals and what he has coming your way musically. Also, listen to their demo 'Pill 'Ed', which I posted above, it is bloody awesome. You can check out their Facebook page here.